For children there are two new Museum quizzes to challenge you. Pick up a copy in the Museum or click the Mouse. The Bluebell Museum collects, preserves, interprets and makes accessible to the public, artefacts, history, customs, practice and skills relating specifically to the Bluebell Railway and generally to the railways in the South of England. The Heritage Lottery Funded Museum building is on platform 2 at Sheffield Park Station. 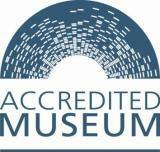 Click on the The Museum button above for more information about opening times, accessibility etc.